Gilbane brought the expertise of our K-12 Center of Excellence (COE) to share knowledge on current trends, sustainable design practices, student inclusion programs, construction solutions, equipment, construction technology, operational issues, and cost trending to deliver the best results on this fast track project. 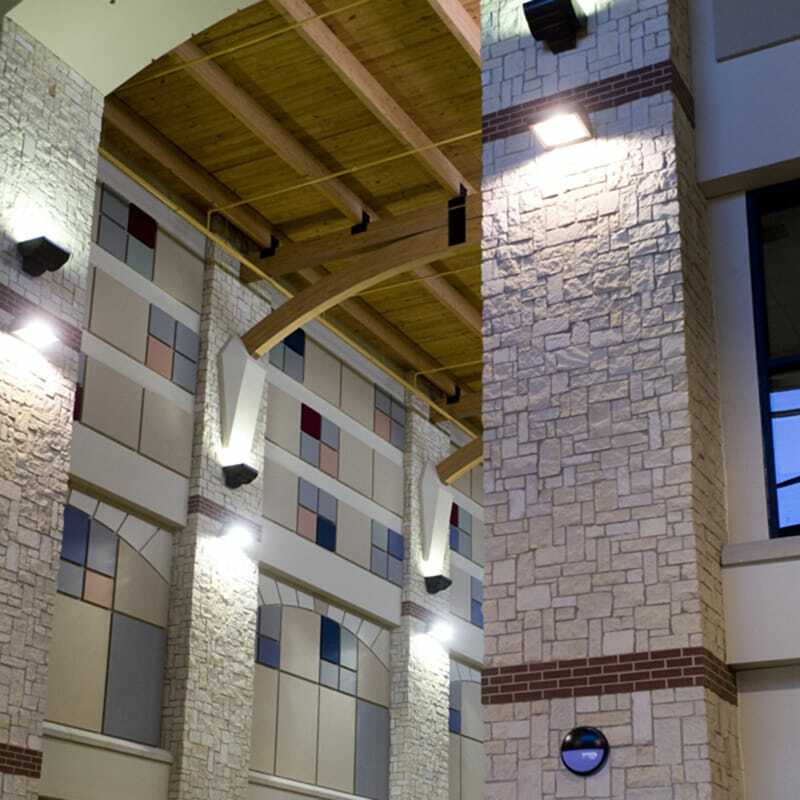 Gilbane Building Company served as the General Contractor for North East Independent School District’s Claudia Taylor “Lady Bird” Johnson High School. This 420,000-square-foot, 116-acre campus allows the school to accommodate approximately 3,000 students. This is the single largest construction effort undertaken by the district. In keeping with the school’s philosophy of “challenge and encourage each student,” the campus consists of specialized areas to achieve academic excellence and develop the student’s technical skills. The campus is made up of three separate building for Academics, Athletics and ROTC. Academic/Laboratory Building: The main building houses all of the general learning areas as well as all science and laboratory facilities. Classrooms include: 60 general instruction classrooms, 20 science classrooms, 19 career and technology classrooms, 16 special education classrooms, and 2 art classrooms. Also included in the main building are separate classrooms/areas for Theatre Arts, Band, Orchestra, Computer Science, Dance/Pep/Cheer, Photojournalism, and Speech. In addition, the main building includes a 775-seat Performing Arts Center with adjacent theater support areas including a Black box theater and classrooms. Athletic Building: The comprehensive campus now has an athletic facility and athletic fields including football, soccer, softball, baseball, 6 tennis courts, 8-lane running track, and a practice field. 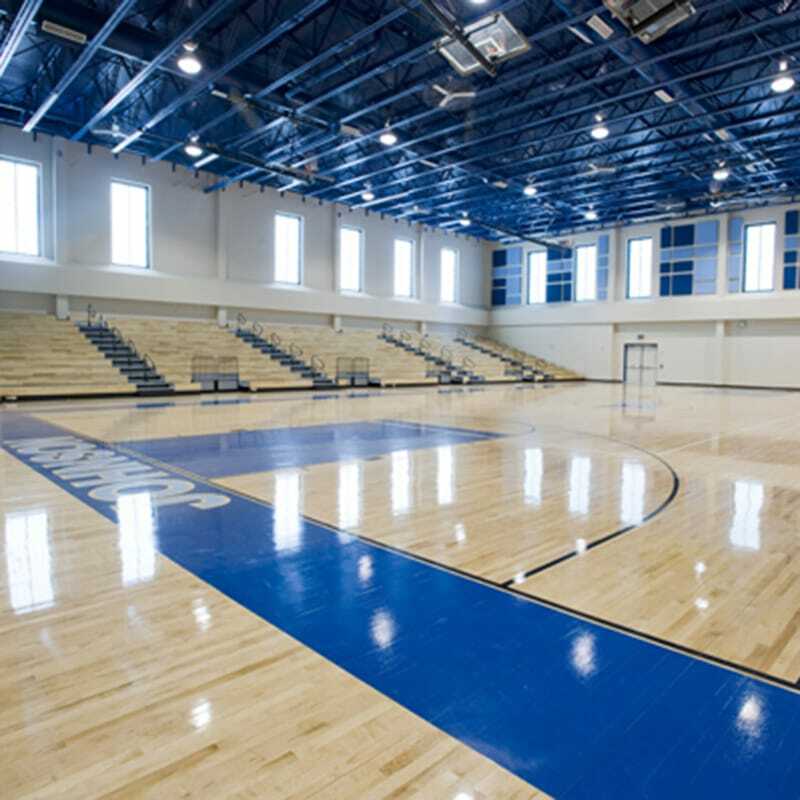 The Athletic Building includes all gymnasiums, locker rooms, dance team facilities and coaches’ areas. ROTC Building: This separate building includes facilities for ROTC programs including classrooms, a rifle range and locker rooms. Central Plant: The campus is served by a 6,000 SF Central Plant. The construction of the high school was a fast track operation that required the major push towards completion in the last six months before school started. 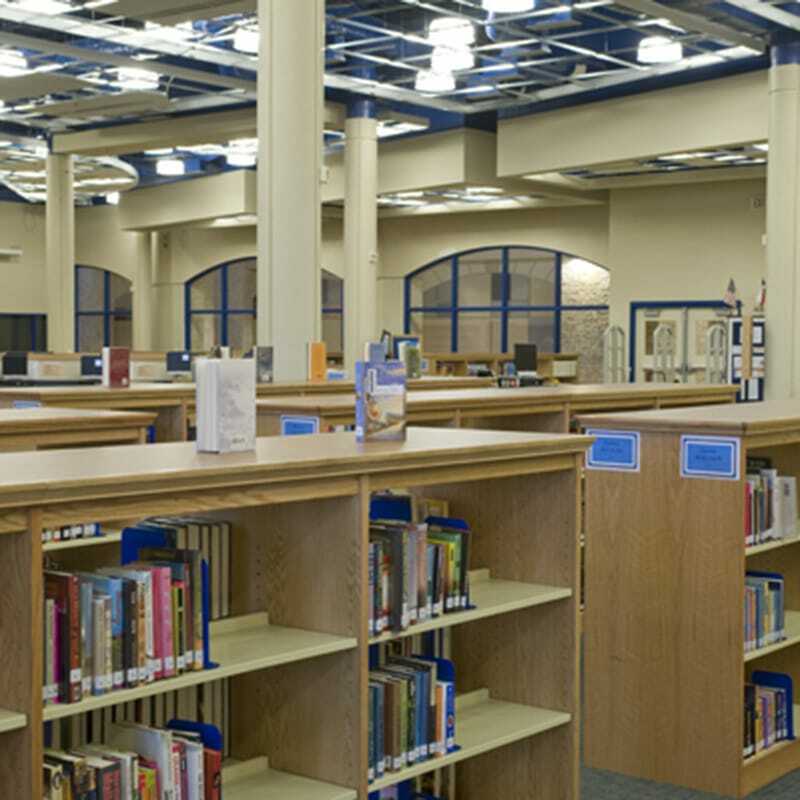 The school hallways were designed to be lined with acoustic panels that mounted directly to the walls, many at high elevations. Gilbane was advised late in the project that the information previously provided regarding the delivery and installation of these acoustic panels was inaccurate. The panels were not only going to be delivered late, but the installing subcontractor, advised that they would not have the available manpower to install them at multiple locations at one time. Gilbane worked directly with manufacturer to coordinate ship dates and sequence the shipments in the best order to accommodate the current completion stage of the project. Gilbane also supplemented the installation crew with qualified installers to allow the panels to be installed in a compressed time period.